James is an ex Gordon Highlander and is currently Pipe Major of the Glenduart Pipe Band. James has been playing the bagpipes most of his life and has performed on TV for the children's show Teletubbies. 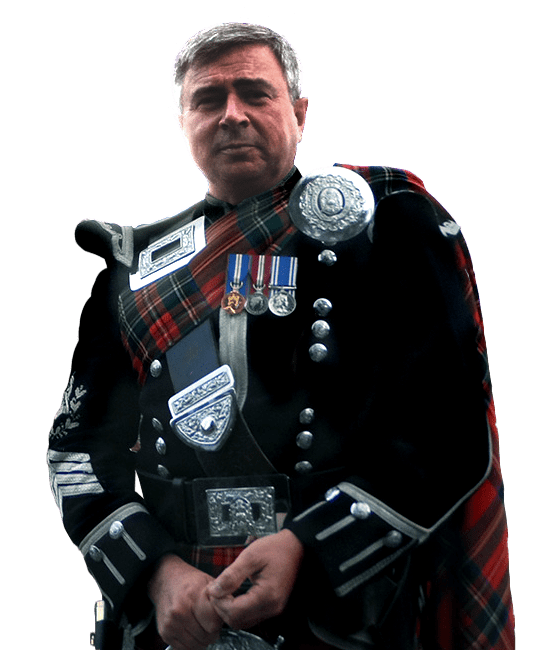 James has also played alongside Paul Mcartney and has appeared in films and also on a record made by the Gordon Highlanders in the 1970's. 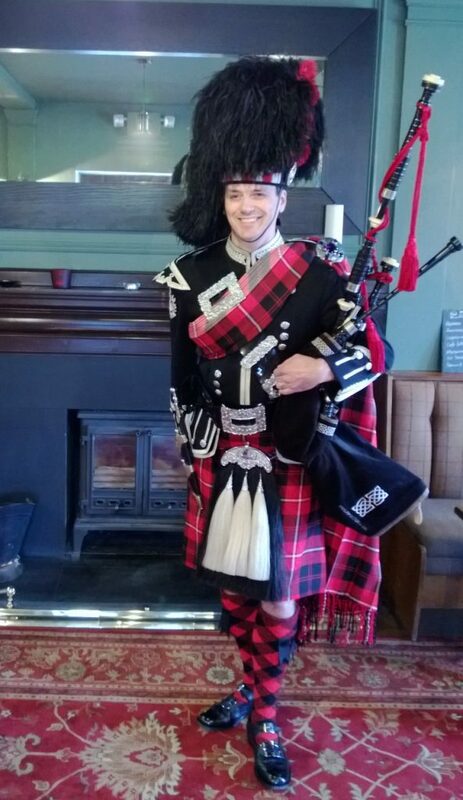 "Many thanks for arranging the piper for my wedding. 110%! It went down a treat "
Yesterday James played at my father’s funeral, in full Black Watch regalia. He piped beautifully and movingly at the church, on arrival at the cemetery and at the graveside. 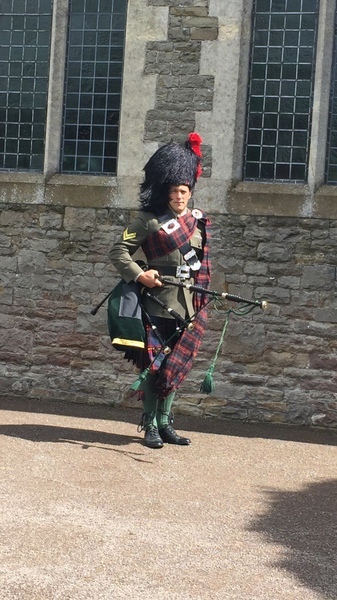 Everyone commented on how perfect James’ presence made the day, and how proud my father would have been as a member of the Black Watch regiment. James was absolutely punctilious in every regard and co-ordinated and communicated with the funeral director and the priest, right up until the last minute to make sure that everything went smoothly. He led the cortege and piped into the church and into the cemetery. James music and playing were uplifting for both my dad’s family and his friends, and I am eternally grateful – he did my dad proud.